Discover our "Tea Tours" to various tea houses! Welcome to the Berry Patch Bed & Breakfast in Lebanon, Pennsylvania. 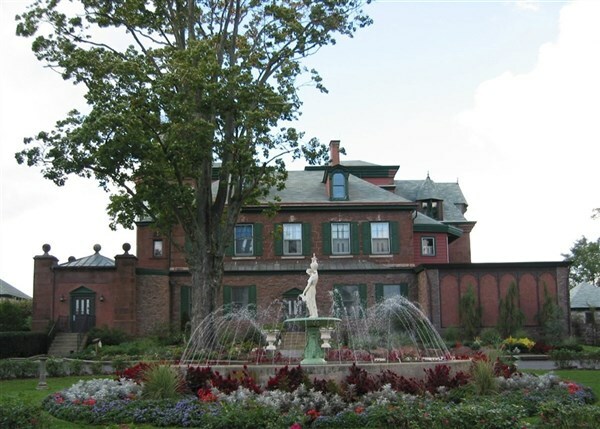 Located in the rustic countryside of Lebanon Valley on beautiful manicured grounds Berry Patch Bed & Breakfast evokes a relaxing and enjoyable setting for an afternoon tea luncheon with friends or family. 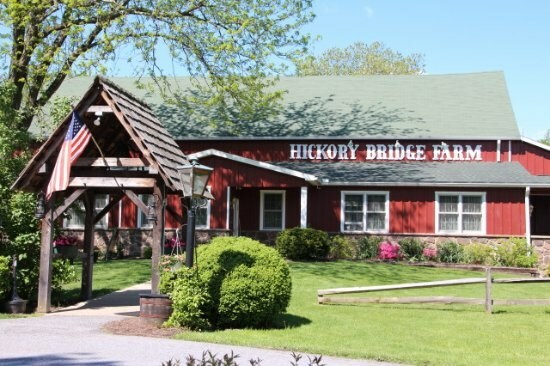 Welcome to Hickory Bridge Farm located in the quaint town of Orrtanna, Pennsylvania, nestled among the rolling hills and farmlands of Adams County, Pennsylvania for a Tea Luncheon with Abraham Lincoln. Sit back, relax and enjoy a five-course dining experience that will include; a brewed tea of your choice, tea scones & tea bread with Abigail's sweet cream & fruit preserves, cup of soup, fresh salad greens with cheese & seasonal vegetables, finger sandwiches, along with a side of seasonal fruit and a fabulous tray of assorted petite desserts & pastries. Welcome to Tea Time at Gypsy's Tearoom for a relaxing Royal Tea Lucheon & a trip to the Westminster Antique Mall, Maryland's largest antique mall. 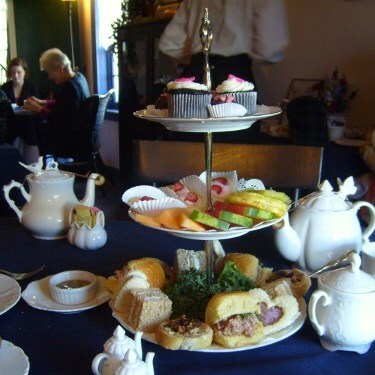 Enjoy tea with Gunther Tours at Red Brick Bakery & Tea Room in Red Lion, Pennsylvania. 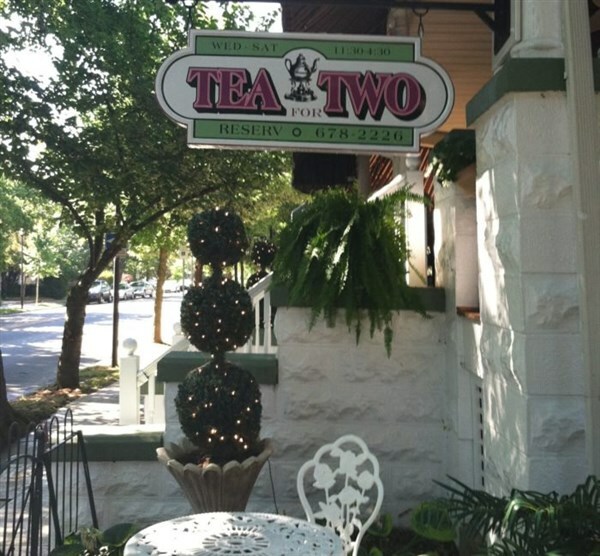 Right away you know you're someplace special when you step through the doors of the Tea Room! 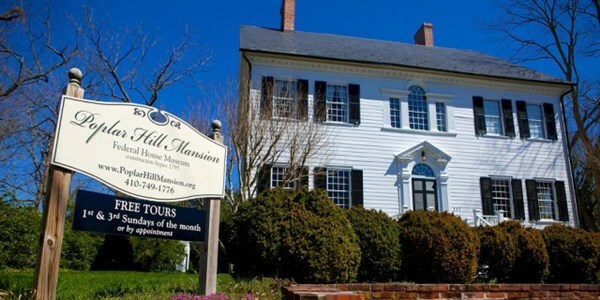 After our tea luncheon, we make the short drive across town to the Red Lion B&B for Grandma's Holiday Craft Show. 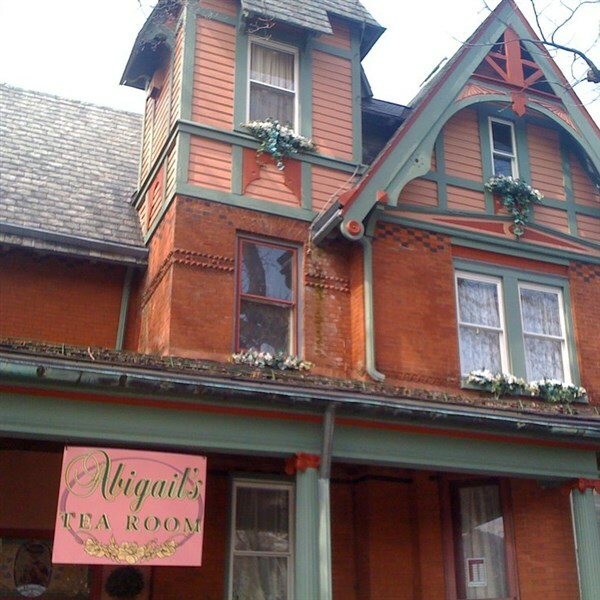 Your holiday day trip to Hallam, Pennsylvania, nestled among the rolling hills of Pennsylvania, begins with a festive atmosphere at The Front Porch Tea Room. 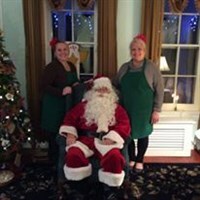 A breathtaking outdoor display of lights, an antique sleigh and freshly cut tree will serve as the perfect backdrop for your own photographic memories in front of this decorated Victorian hill top home built in the center of town.